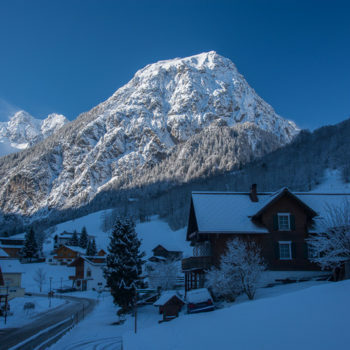 The Brandnertal in the far west of Austria offers traditional villages, a wide range of winter activities and a wonderful winter landscape. 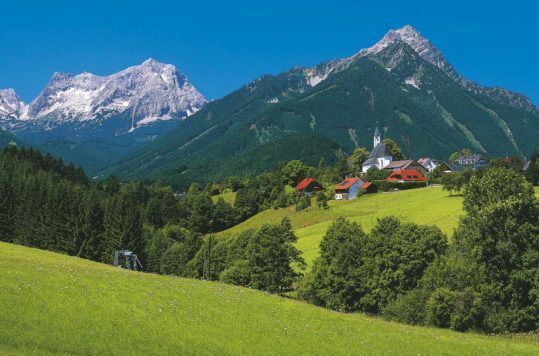 For years this part of Austria has been a somewhat sleepy backwater valley. 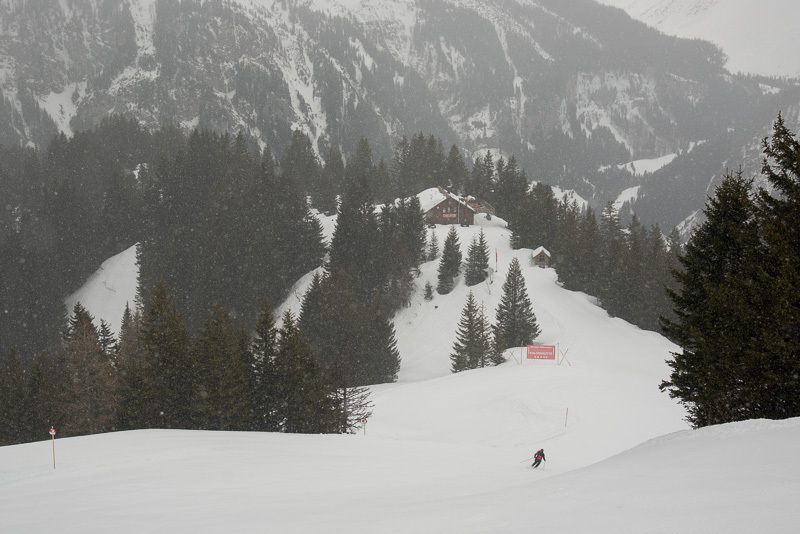 However, Brandnertal in Vorarlberg has slowly worked its way onto the winter vacation circuit. Not by building spectacular adrenalin pumping halfpipes or downhill runs, but by offering visitors affordable accommodation and facilities. 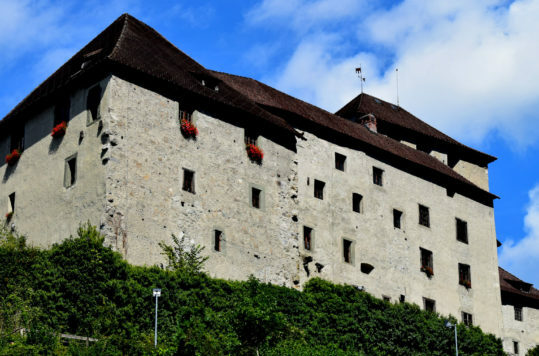 Moreover, the village Brand and the hamlet Bürseberg have not been transformed into high pitched winter holiday machines but have kept their alpine village charm intact. Except for the very last day of my stay, it was snowing heavily when I was in Brandnertal. Even though I missed out on the breath-taking views that I saw on the internet before travelling, the snow fall created a lovely winter wonderland atmosphere. 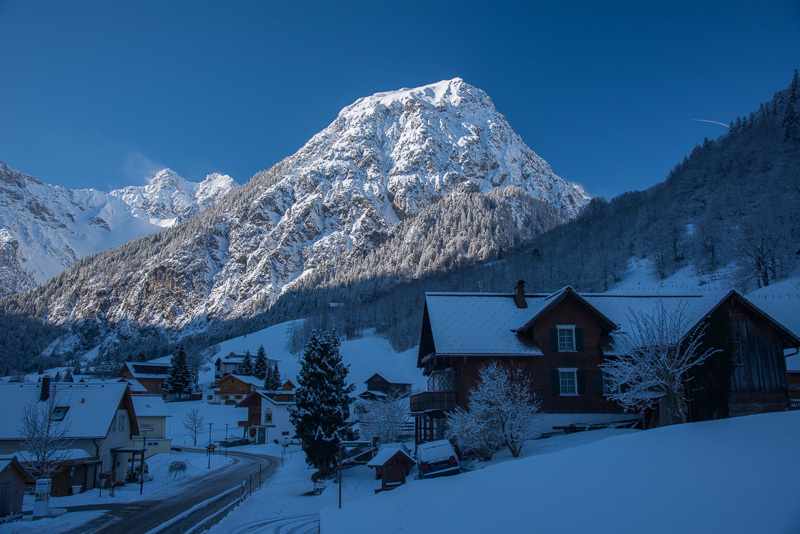 Surrounded by a pretty picture perfect alpine landscape giving you the backdrop for a brilliant winter vacation. 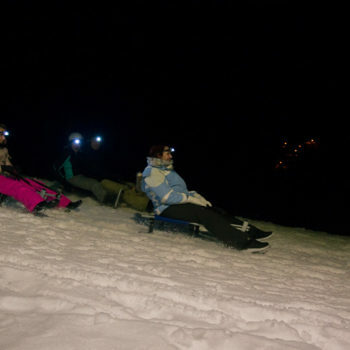 You can dive into a vast array of different winter activities. I didn’t have time to try the ski touring (randonee), winter walking or dog sledding, but had great fun in the snow with these activities. 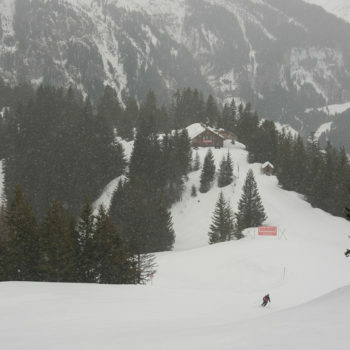 The Brandnertal ski area includes 64km of groomed slopes at altitudes between 890 – 2000m. Mostly on east facing slopes between the resort villages of Bürseberg and Brand. Visitors to Brandnertal are well served by an efficient ski lift system of 14 lifts and I didn’t have to wait in the line in none of them. In many slopes there were no other skiers and when I was not by myself, just the way I like it to improve my skiing skills. 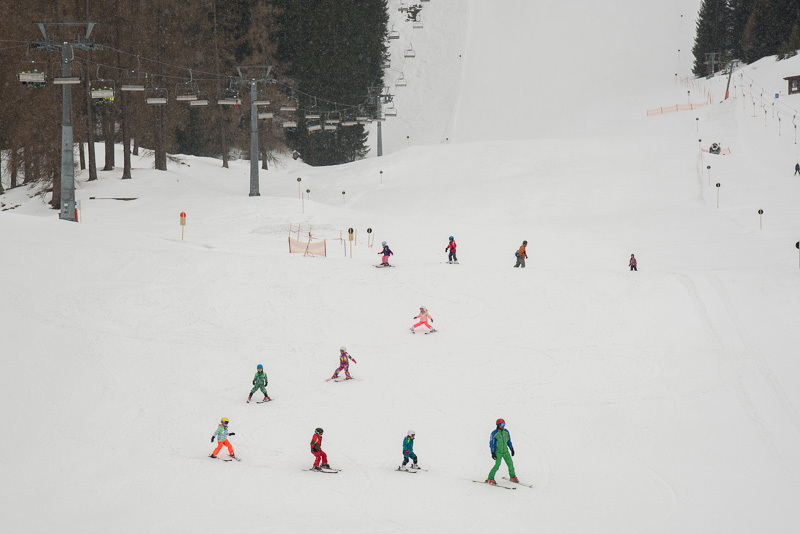 By the way, it was fun to see kids having classes on the well-groomed beginner slopes, while the parents were having fun for themselves. 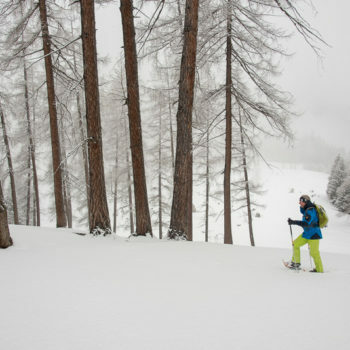 Nonetheless, visiting Brandnertal is not only about alpine skiing. Snowshoe hiking on the Tschengla was magnificent. I headed out into the winter wonderland with my guide Max Sturm on a snowy day. It didn’t matter that the sun wasn’t out. Because trekking slowly through the forest of snow covered trees, with the silence only pierced by the sound of your snow-shoes, was mesmerizing. The trail you’ll hike and for how long, it depends on how fit you are. Nonetheless, even if you’re not an athlete, the landscape is very beautiful right from the beginning, which takes you mind away from the physical part of hiking. Thus, don’t worry if you lack some training, because you’ll have fun anyway. 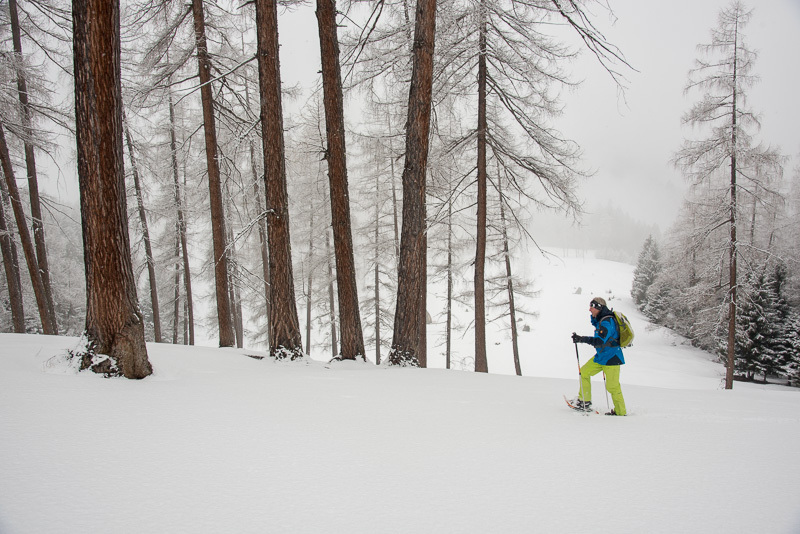 Hiking among the snow-covered trees, crossing little streams that disappear under the soft snow and taking in the marvellous alpine snowscape, is a great way to spend an afternoon. This is not only for the kids – or more accurately it’s for kids of all ages. I love this kind of winter fun. 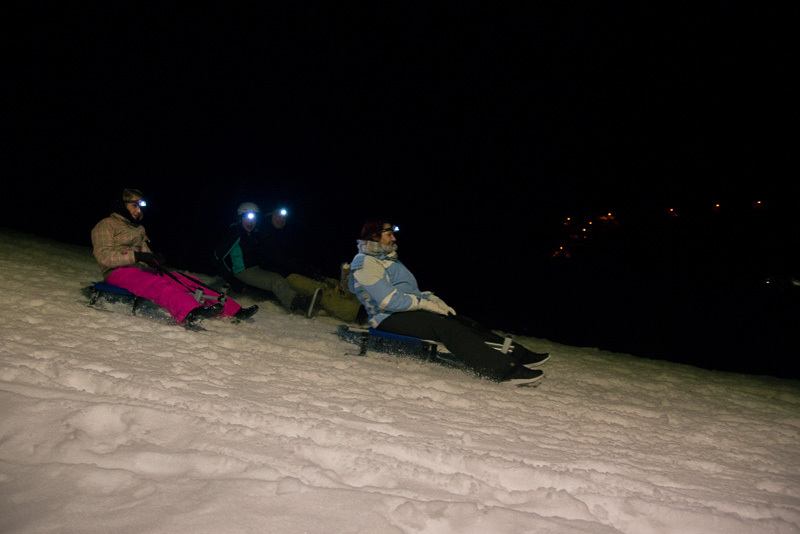 Moreover, I went for night tobogganing which made at bit more exciting as you head down the mountain in only the light of your headlamp. Don’t worry, the guys organising it are professionals and gave us good instructions on how to steer and make safe runs. On the beginning I was in doubt that I could control the sledge. I tried to stick to the instructions, but still ran down the hill much faster than I probably should have. Just to much fun to go slow! The Stone Circle is very interesting and the cross-country tracks cross through it, allowing the skiers get energy from the Circle. Well, at least this is what my local guide Max told me. According to the Brandnertal Tourist Office, the stone monuments, erected on so-called vein stars, formed a centre from which Stone Age astronomers could observe the stars in the night sky, the rising and falling moon, the sun and planets. Nonetheless, you can enjoy about 20 kilometres of cross-country trails and you can skate on 80% of the trail. Most of the tracks are at 12-1300 metres altitude with magnificent views. 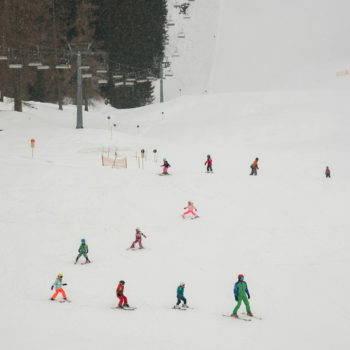 It’s a family-oriented resort, thus not much night entertainment compared to other ski resorts. Nevertheless, there are a few bars and usually once a week a DJ play’s in one of them in the afternoon and evening. What I liked about staying in a more low-key winter resort is that it’s about the good life, more than adrenalin kicks. For example, there is plenty of good eateries in the valley. I warmly recommend having dinner at Frööd, a very good restaurant in the mountain where I ate an excellent hirschragout (Ragu of venison). 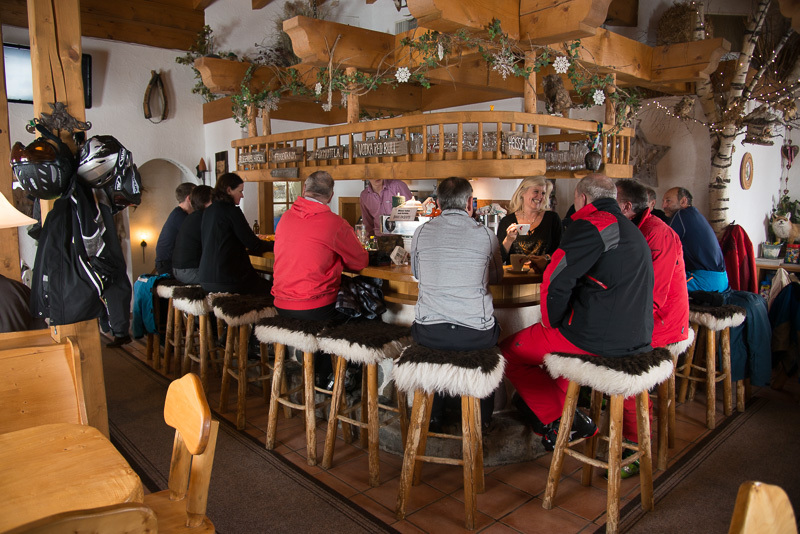 Another restaurant I enjoyed was the Fuchsbau, a charming mountain restaurant with good meals and prices.